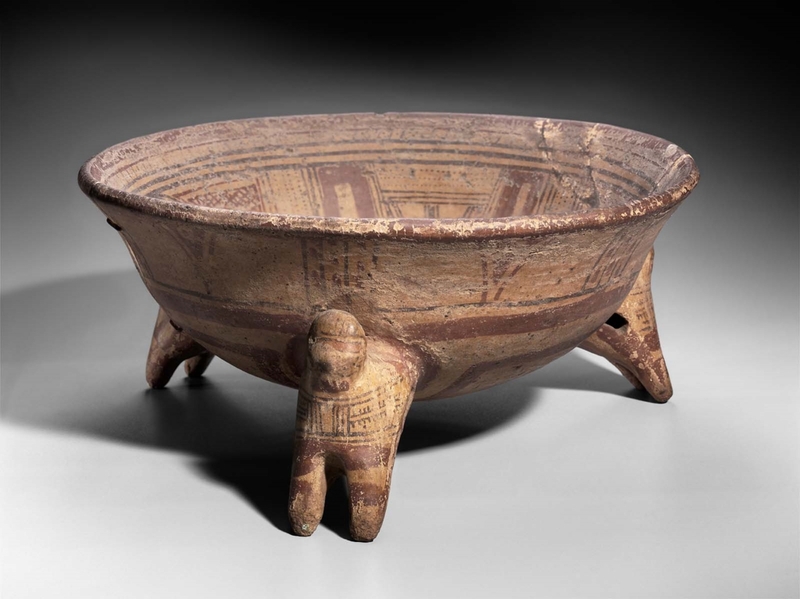 Dish with three bird effigy supports, with rattle pellets inside, and painted geometric designs on the exterior. Metal staples were used in modern times to hold together the vessel which had broken into three parts. sticker on bottom reads: " 4 / 4122 / 14"